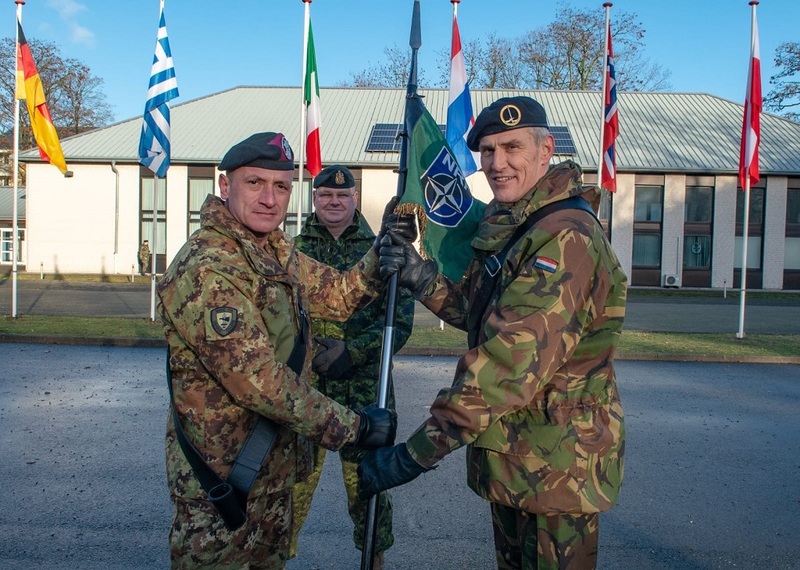 The transfer of responsibility for the Land Component Command for the NATO Response Force (NRF), from the NATO Rapid Deployable Corps Italy (NRDC) Italy to the German / Netherlands Corps (1GNC) has been celebrated in Munster few days ago with the presence of LANDCOM Commander, General John Thomson. The NRF concept, established in 2002, is aimed at providing the Alliance with a high readiness multinational force made up of land, air, maritime and special operations forces, able to deploy at short notice in response to a threat or crisis situation. 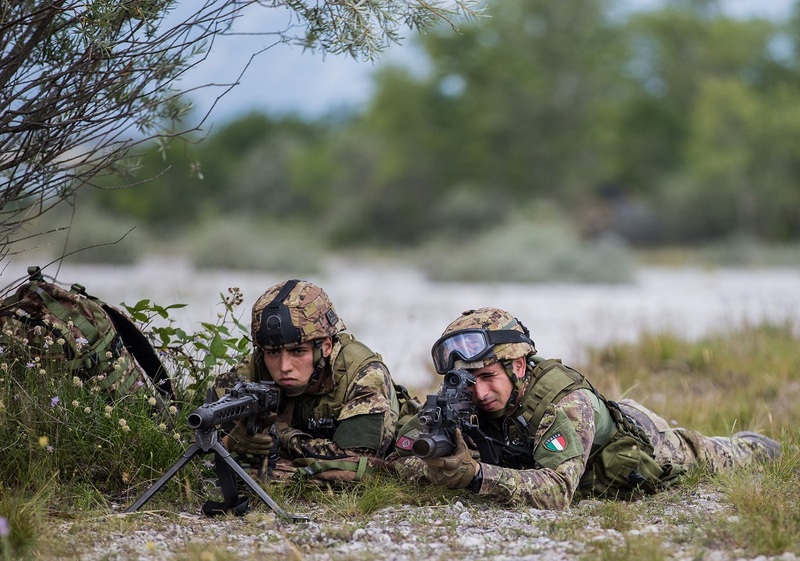 The period of “at readiness” in 2018 has been a successful one for NRDC Italy, a window of time, during which the Headquarters has maintained a high training tempo, whilst providing 360° vigilance of potential trouble spots, with particular focus on the Alliance’s southern border. 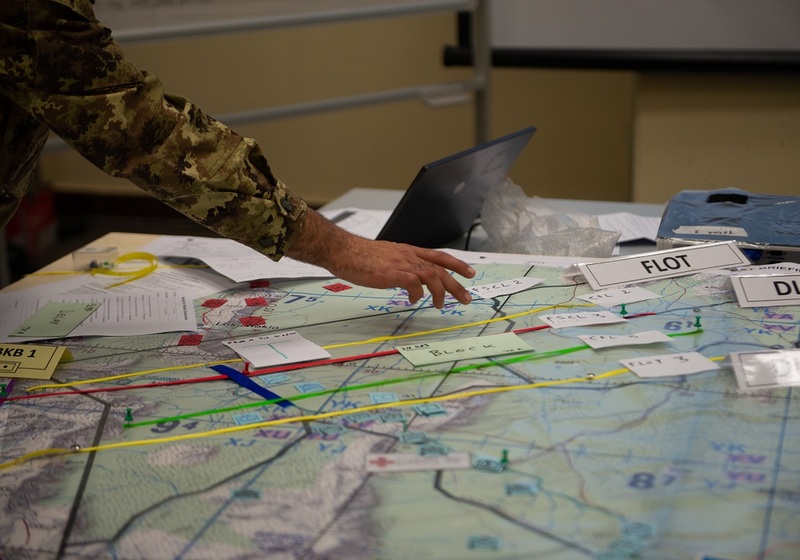 Several activities have been conducted as well as planning exercises ensuring that the staff was constantly prepared for a variety of possible military scenarios. Among the others, it has to be mentioned Eagle Ghost, that took place last June with a scenario centered on Sub-Saharan Africa, an area of particular interest for the NRDC. Throughout the build-up training and operating year NRDC Italy has established and maintained strong links with sister formations, these include the JFC Naples and in particular the newly established Hub, with its focus primarily directed South and JFC Brunssum which focuses towards the Alliance’s eastern flank. Having passed on not only the NRF responsibilities, but also the lessons learnt and contacts made to 1 GNC, NRDC Italy is now realigning itself to the role of a war fighting Corp HQ. This adaptation will require the multinational staff to be comfortable operating in the most hostile of environments, and work is well under way to enable this. Conceptual studies, command and control exercises and staffing restructuring are all part of this effort, with the Solbiate Olona based Headquarters determined to achieve the same success with this mission as it did its last. 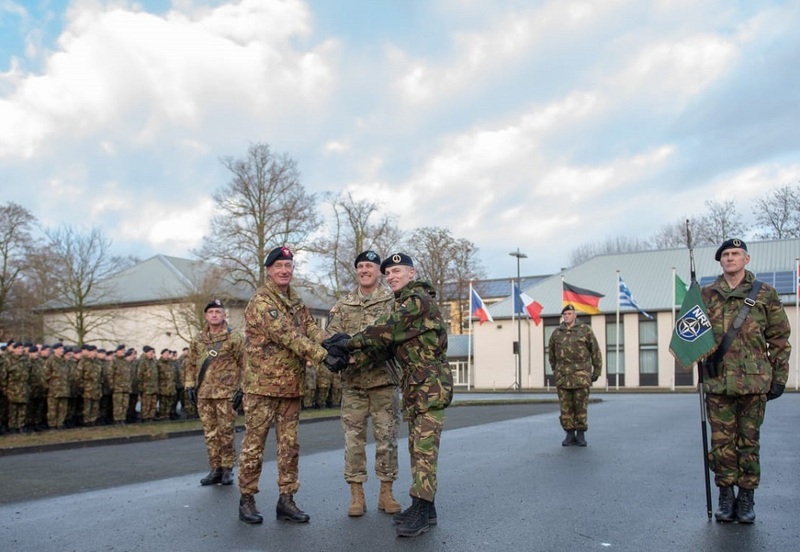 The Very High Readiness Joint Task Force responsibility, a vital element of the NRF, was also passed from the Italian “Ariete” Brigade to the German 9th Panzer Brigade, in parallel to the hand over from NRDC Italy to 1GNC.